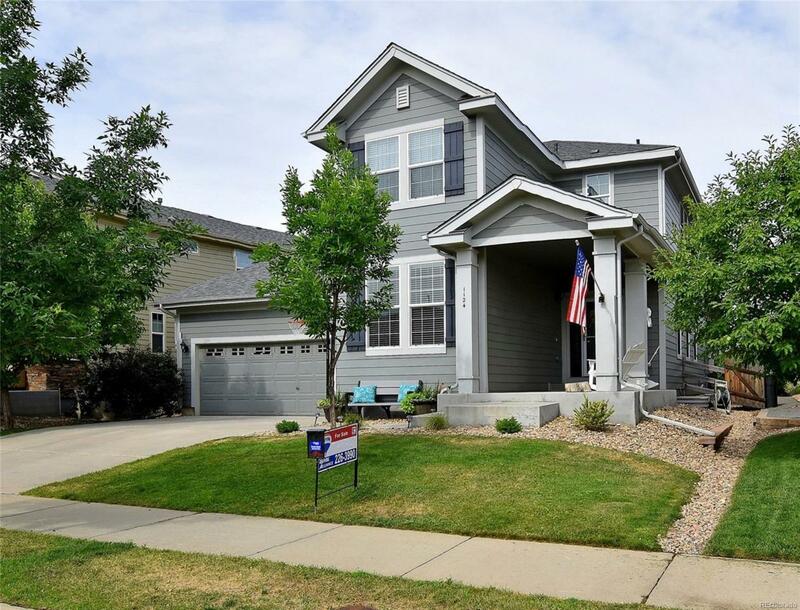 Do not miss this beautifully chic, remodeled home in Erie Commons. Cozy living room has dark hardwood floor & brick accents. Eat-in kitchen w/island, pantry, tile backsplash & shiplap accent wall. Bonus room off kitchen great for playroom, gym, or 2nd office. Bright master suite has tray ceiling detail, barn door into 5pc bath. Epoxy selaed garage floor. Large covered back patio overlooks private back yard. Don't like mowing? You'll love the no maintenance astro turf in the back yard!